Ogdensburg, NY (April 9, 2019) – On early Sunday morning, April 7th, the Ogdensburg Fire Department was dispatched to the scene of a motor vehicle accident that was reported to have taken place in front of a McDonald’s restaurant located at 1134 Patterson Street. The crash took place at approximately 1:30 a.m. for reasons that have not been confirmed. According to authorities, only one vehicle with two passengers is currently believed to have been involved in the crash. The driver, identified as Jordyn Marcellus, slammed into a telephone pole at the aforementioned location, resulting in injuries to her and her passenger, identified as Zerabeth Dafoe. Emergency medical responders at the scene airlifted Dafoe to Upstate Medical Center in Syracuse with serious injuries. According to Troopers, Marcellus was transported to Claxton-Hepburn Medical Center for treatment. The conditions of both victims are currently unknown at this time. An investigation into the cause of this accident is likely to be ongoing. Before anything else, we would first like to extend our deepest sympathies to both Zerabeth Dafoe and Jordyn Marcellus, as we maintain hope for their full recoveries. 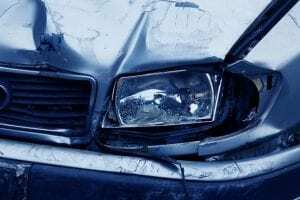 Following a New York car accident, it is important to understand that, as victims of another party or other entity such as a vehicle manufacturer, you may likely have significant rights moving forward.